Handmade Exquisite Bracelet & Earrings. 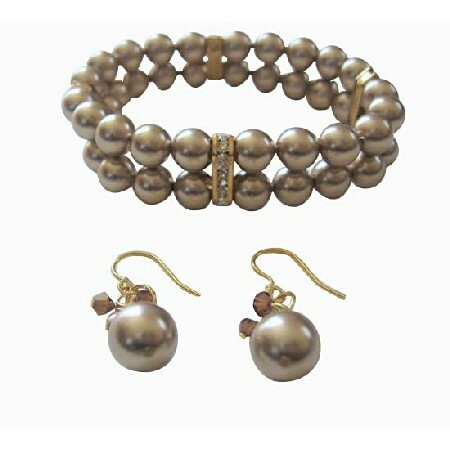 All A Grade & Material are used to make this beautiful & Gorgeous Double Stranded Bronze Pearls Bracelet with Gold Rondells with Earrings made with Bronze Pearls with smoked Topaz Crystal accented in 22k Gold Plated Earrings. Handmade Classic Bracelet Earrings Wedding Jewelry Bridesmaid Collections theme of Gift with Crystals from Austria. The pictures speak for themselve. it look beautifull for any women to wear & look sophisticated.